A diagnosis of Type 2 Diabetes can be met with feelings of surprise or disbelief. Patients will often say, “But I don’t even eat sugar” or “The test was high because I was away on holidays” or “I feel fine, so it can’t be serious”. 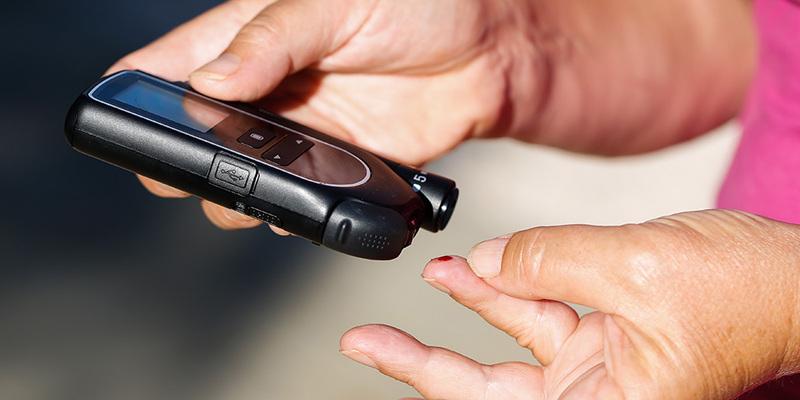 There are many misconceptions about Type 2 Diabetes. Eating too much sugar does not cause diabetes. It is a disease in which your pancreas does not make enough insulin, or your body does not use insulin properly. High blood-glucose (sugar) levels often have no symptoms; the first symptom may be detected because of a complication such as a heart attack, or at an eye examination. Good management of diabetes can help slow down the progression of the disease and eliminate or delay the risk of heart attack, stroke, kidney disease, blindness and other complications. A diabetes team can help you manage your diabetes. Your family physician focuses on your overall health and will work with you to achieve healthy targets for blood sugar, blood pressure and blood fat levels (cholesterol). Lab tests and examinations will be ordered to screen for complications. A dietitian, a diabetes nurse educator and your pharmacist can increase your awareness of healthy living and appropriate treatments, and coach you through everyday challenges. Support is available when difficulties occur. Regular dental care is important. Poorly-controlled diabetes can lead to dry mouth causing ulcers, fungal infections and tooth decay. Dry mouth can cause dentures to be uncomfortable. Foot problems are common in people with diabetes. Your chiropodist, or a nurse with advanced skills in foot care, can help take care of your feet preventing serious complications to your feet. If needed, a social worker or counsellor can guide you to community resources and provide you with support for emotional stress, and personal or financial problems. Your optometrist should be seen each year to examine your eyes, looking for potential problems. Early detection of damage to your eyes (even before symptoms arise) can be treated and prevent serious complications including blindness. A kinesiologist or exercise specialist can offer guidance in exercising safely and teach you how to stay active, even when there are challenges that make exercising difficult. If complications occur or if diabetes is difficult to manage, your family doctor can refer you to an endocrinologist – a diabetes specialist. Other specialists such as nephrologists, cardiologists, neurologists or internists may be needed. have your glucometer checked regularly by bringing it to the laboratory to correlate with the laboratory readings. What else can you do? Choose a healthy lifestyle by maintaining a healthy weight, eating three balanced meals, keeping active and taking medication as prescribed. Take care of your feet and ask for help when needed.